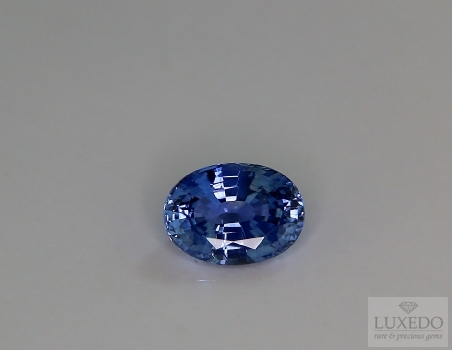 Protagonist of innumerable citations in the sacred texts of every religion, as well as of innumerable legends of close and distant traditions, the Blue Sapphire has always been loved for its magnificent color and for the prestige that has always been attributed to it. This magnificent specimen well represents the reasons for its beautiful, incredibly bright and extraordinarily brilliant blue on an oval with a remarkable size. Exceptional choice.